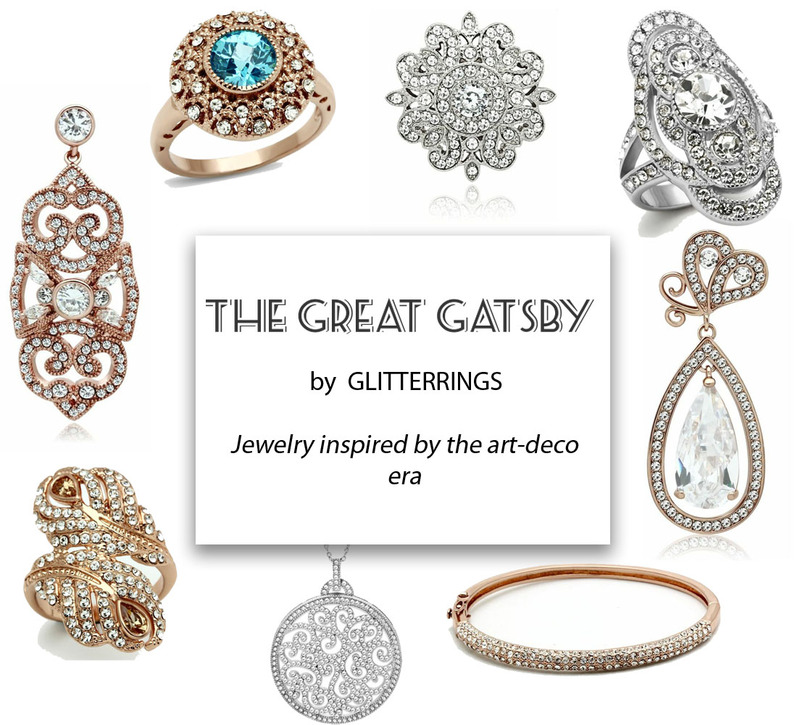 The sparkling 1920's jazz age movie, The Great Gatsby movie has inspired so many parties, clothing brands and jewelry companies. I visited the Glitterrings Showroom to much of my surprise they had their own Great Gatsby inspired collection. The collection is crystal-filled of filigree and pave necklaces, earrings and rings.